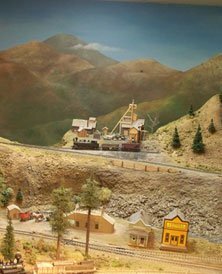 Model Railroad backdrop featuring Keuka Lake "back in the day". 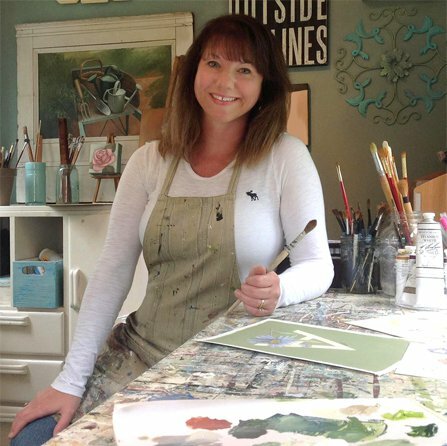 I’m Amy Colburn, an artist in the Finger Lakes Region of Upstate New York. Your life is a beautiful story; how are you illustrating it? 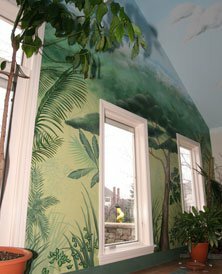 I create custom murals (and when I say custom, I really mean 100% one-of-a-kind, just for you! 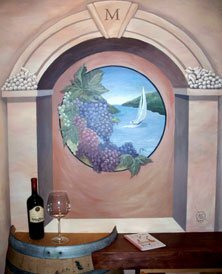 ), and colorful, realistic canvas oil paintings, to help decorate your space and express your best feelings. Art has the potential to give your space positive energy, and can elevate the whole experience! You don’t have to know exactly what you want in order to begin. 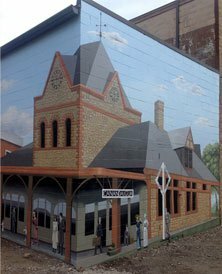 If you are curious about the custom mural process, move on over here. I have paintings that are available for purchase now, over on this page. Maybe you’ve dropped in for some home décor inspiration. In that case, grab a fresh cuppa coffee (or wine?) and browse the gallery. Either way, I’d really love to know your story and how I can help make things prettier, so drop me a line so we can get to know one other.